A Congestion Charge would help reduce unnecessary vehicle journeys and thus give everyone, but car drivers especially, more predictable journey times. The increase in housing in the area would otherwise result in the sort of unpredictable situation that happens when the A14 gets blocked, but instead all around Cambridge. For many people, the requirement to arrive at work at a specific time is more important than the average journey time itself (which would be decreased anyway). 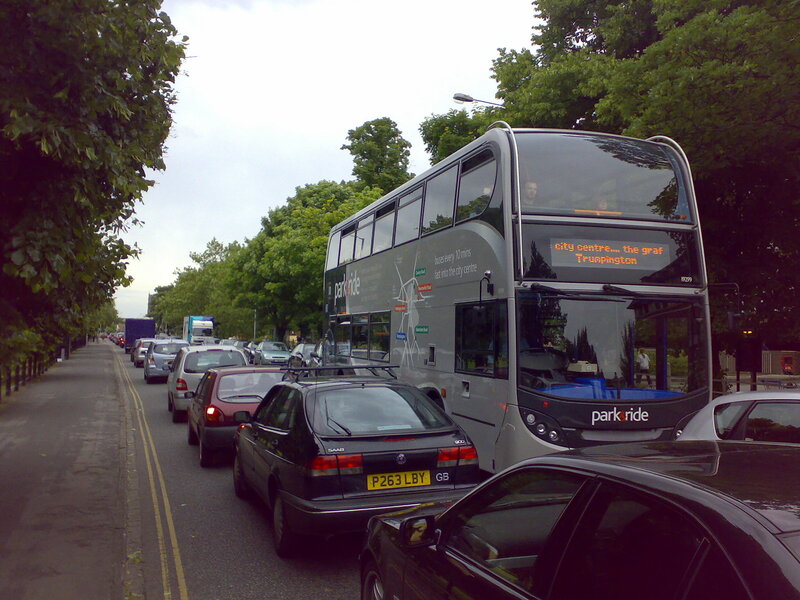 Measures to ameliorate congestion would mean that variability of journey times, for both cars and buses, would be reduced. People who work in service industries, for example shops, would particularly benefit. 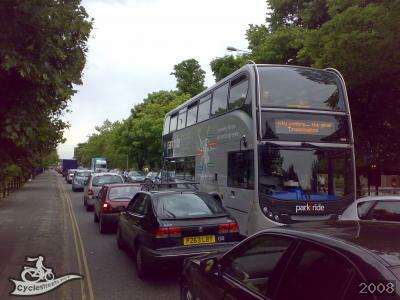 Buses get stuck in traffic because of the sheer number of private motor vehicles, most of them containing a single occupant. A good demonstration of why congestion charging is needed.